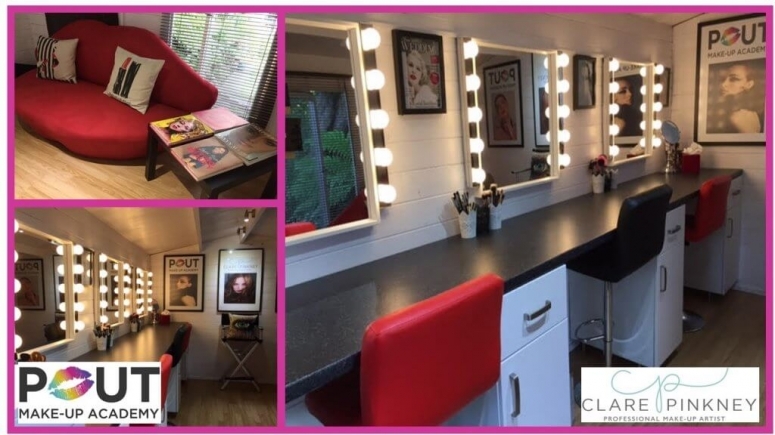 All lessons are held at Clare’s exclusive and modern make-up academy in Ashtead (Surrey, UK) fully complete with make-up bar, workstations, professional lighting and specialised equipment. A truly magical make-up experience awaits each client who can not only learn to create new looks and boost their confidence, but can also relax in a tranquil environment. Clare’s lessons are individually designed to include product recommendations, styles, colours and application techniques. Upon completing your lesson with Clare, you will receive a complimentary make-up lesson aftercare booklet, which will include tips on make-up application & trends, personal recommendations, face charts, brushes & tools and product & brand lists. The personal attention Clare provides will ensure that you are fully equipped with the skills you need and are able to produce a high standard of make-up. For a list of make-up lesson options, description and prices, please refer to the Make-up price list page.